Oma One is a modern creation located on Madison Avenue. While Oma Two is located onDawson Avenue. Luxury West Coast styled homes with aManhattantouch. 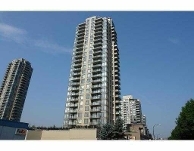 Urban living located within walking distance away from great shopping, Brentwood Mall and skytrain Station. Unique features of these buildings are their high ceilings, tall windows and wide balconies, the better to enjoy the beautiful view of cityscape. The building also features well rounded security which includes restricted elevator access, secured parking, a separate parking for visitors, and a video enterphone system with closed-circuit TV surveillance for residents to view visitors. Developed by the Millennium Group with more than 50 years of experience worldwide.